In the latest development in the Kerala Love-Jihad case, it has been revealed that Hadiya's husband Shafin Jahan had been allegedly in touch with two ISIS men. The National Investigation Agency has found out that Shafin was in touch with Manseed and P Safvan from ISIS via Facebook before getting married to Hadiya, reported the Times of India. The report further added that the closed Facebook group through which Shafin, Manseed and P Safvan were connected included activists of Popular Front of India (PFI)'s political arm SDPI. Both Hadiya and her husband had claimed that the couple met through a matrimonial website 'waytonikah.com'. However, the NIA, reportedly, has found that it was Manseed (along with Shafin's friend Muneer and other SPDI associates) who brought Shafin and Hadiya together. Manseed and Safvan were arrested in October 2016 and they were chargesheeted in the Omar-al-Hindi case by NIA. 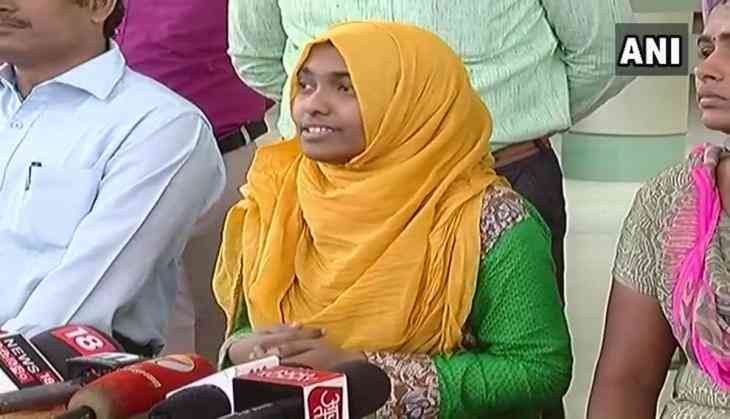 Hadiya, who got married to Shafin in December 2016, was freed from her parents' custody on November 27 and the Supreme Court had directed her to continue her education in a Coimtore college. Hadiya's wedding with Shafin was annulled by the Kerala High Court in May this year and the apex court is currently hearing Shafin's appeal against the annulment.